• These are not cherry picked examples of Extremists™, they are revered in the Islamic world as among the most authoritative “classic jurists” in history along with the last page. They are all open ended instructions to Muslims concerning relations with all non-Muslims, affirming Koran 9:29 is good for all times and places, and not just historical descriptions of events. 6) Abu Bakr (d. 635) - 1st successor to Muhammad, 1st of the “4 rightly guided caliphs”. He is quoted in Bukhari 2:23:483. He led the apostate wars, and is the namesake of the first Islamic State caliph in 2014 Abu Bakr Al-Baghdadi. 7) Umar ibn al-Khattab (~580 - 644) - 2nd successor to Muhammad, 2nd of the “4 rightly guided caliphs.” Umar is also quoted in Bukhari. The famous Pact of Umar was a peace treaty between the Caliph Umar and the Christians of Syria., who promised to abide by a detailed list of humiliating concessions as 2nd class citizens, that became a model for other places under Islamic law. The origin of this document is uncertain, but the “classic jurists” have taken it very seriously and quote from it, as you already saw with Ghazali on the last page. Umar on IS&J. 8) `Abdullah ibn `Abbas (~618 - 687) - said to be a paternal cousin of Muhammad. He is quoted in Bukhari and other hadith. During his life he was called The Great Scholar of the Ummah. “... famous for his deep insight, profound learning, keen memory, high intelligence, and perceptiveness.” He narrated about 1600 traditions (hadith), and wrote a complete commentary on the Koran Tafsir Ibn Abbas. ibn Abbas on IS&J. 9) Abu Yusuf (Yaqub ibn Ibrahim al-Ansari) (731 - 798) - Famous Hanafi jurist, one of the most important disciples of Abu Hanifa (founder of the Hanafi school). Judge in Baghdad, and later Chief Justice (qadi al-qudat) under Abbasid caliph Harun al-Rashid. Abu Yusuf on IS&J. 10) Muhammad al-Shaybani (754 - 811) - Famous Hanafi jurist, another of the most important disciples of Abu Hanifa. Author of several authoritative works, particularly an important work on jihad, The Islamic Law of Nations. al-Shaybani on IS&J. 11) Imam Al-Shafi’i (767 - 820) - founder of the Shafi’i school, jurist, one of the “4 great imams”. Disciple of al-Shaybani and Imam Malik (founder of the Maliki school): Al-Shafi'i on IS&J. 12) Muhammad ibn Jarir al-Tabari (~838 - 923) - Very famous Persian Islamic scholar, historian, and prolific writer, “one of the major mujtahid Imams”, memorized Koran at 7. Most famous for his massive commentary on the Qur'an Tafsir al-Tabari, an equally large History of Prophets and Kings, and an encyclopedia of jurisprudence entitled al-Basit. al-Tabari on (9:29). 14) Abu Al-Hasan Al-Mawardi (972-1058) - Shafi'i jurist, Chief Justice in Baghdad, sociologist, considered as one of the most famous thinkers in political science in the middle ages before ibn Khaldun. Wrote several important books on Islamic governance, some translated into various languages. Al-Mawardi on IS&J. “Do not consider that killing them is treachery. Nay, it would be treachery to leave them scoffing. Bostom: Jihad and Islamic Antisemitism More Abu Ishaq on IS&J. 16) Ibn Abdun (d. 1134) - Maliki jurist in Andalusia, gave these legal opinions regarding Jews and Christians in Seville around 1100AD, during the Golden Age in Spain. “He emphasized that the qadi, a jurist should be a man of prudence, compassion, impartiality, and learning...” Ibn Abdun. on IS. 17) al-Zamakshari (~1075 - 1144) - “Persian renown for his great scholarship of the Qur'an and his magnificent mastery of the Arabic language. Scholars of all ranks and schools of thought have tremendous regard for him... His monumental work al-Kashaf `an Haqa'iq al-Tanzil wa `Uyun al-Aqawil fi Wujuh al-Ta'wil, is celebrated for its genius and linguistic depth.” From his Tafsir (Koran commentary), about al-Zamakshari on IS&J. 18) Shaikh Burhanuddin Ali of Marghinan (1135 - 1196) - Hanafi jurist, from his famous manual of Sunni law the Hidaya, which is considered an authoritative guide in Central Asia, Afghanistan, and India. This is not a historical account, it is a timeless religious ruling by an influential Hanafi jurist. 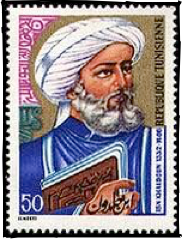 19) Ibn Qudamah al-Maqdisi (1147-1223) - Hanbali jurist, noted Islamic scholar and author of many treatises of Hanbali jurisprudence and doctrine, including al-Mughni (the most widely known textbook of Hanbali fiqh). Ibn Kathir (listed below) said of him, "proficient, there was not found in his era nor before it by a long span of time, anyone possessing more fiqh – understanding of the religion – than him." al-Maqdisi on IS&J. 20) Yahya ibn Sharaf al-Nawawi (~1234-1278) - Shafi'i jurist, Syrian, author, wrote “numerous works of great importance” including Riyad-us Saliheen, and Minhaj al-Talibin, both classical shafi'i manuals of Islamic Law. al-Nawawi on IS&J. 21) 'Abdallah ibn 'Umar al-Baydawi (~1286-1316) - Shafi’i jurist, chief judge of Shiraz, Persian scholar, writer. In his important Qur’anic exegesis The Secrets of Revelation and The Secrets of Interpretation, he gives this ruling on Qur’an 5:82 & 2:61, about the Jews “humiliation and wretchedness”. 22) Abu Mansur Hasan bin Yusuf Al-Hilli (1250-1326) - Shi’ite jurist, “one of the greatest Muslim jurist and scholars of his time”, prolific writer. Al-Hilli on IS&J. 23) Ibn al-Qayyim al-Jawziyya (1292-1350) - Hanbali jurist, important disciple of Ibn Tamiyyah, eventually becoming his successor Imam. Qur'anic commentator, teacher, most notably of Ibn Kathir. He is often quoted by other Muslims in their rulings on jihad. For example here. 24) Ziauddin Barani (1285-1357) - Indian jurist, historian, political thinker, writer, companion of Sultan Muhammad b. Tughluq. He pleads for an all out struggle against Hinduism, and discusses whether jizya should be accepted from them, as it is from the People of the Book - Jews and Christians. Barani on IS&J. "conforms to the practice and faith of the orthodox Sunni community." 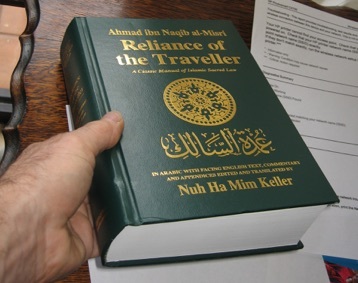 Reliance of the Traveller quotes K-47:35 then says Muslims shouldn’t make truces in war when they are uppermost, only when weak, and never for more than 10 years (o9.16). “Allah said “until they pay the Jizya,” if they do not choose to embrace Islam, “with willing submission” in defeat and subservience, “and feel themselves subdued,” disgraced, humiliated and belittled. Therefore, Muslims are not allowed to honor the people of Dhimma or elevate them above Muslims, for they are miserable, disgraced, and humiliated. Muslim recorded from Abu Hurayrah that the Prophet said, “Do not initiate the Salam to the Jews and the Christians, and if you meet them in a road, force them to its narrowest alley.” (Muslim B.26, #5389) This is why the leader of the faithful ‘Umar... demanded his well known conditions to be met by the Christians, these conditions that ensured their continued humiliation, degradation, and disgrace. The scholars of Hadith narrated from Abdur-Rahman... the terms of the treaty of peace he conducted with the Christians: This is a document to... ‘Umar the leader of the faithful, for the Christians of such and such a city. When you [Muslims] came to us we requested safety for ourselves, children, property and followers of our religion. We made a condition on ourselves that we will neither erect in our areas a monastery, church, or a sanctuary for a monk, nor restore any place of worship that needs restoration... We will respect Muslims, move from places we sit in if they choose to sit in them...” And so on, he finishes the rest of the Pact of Umar. (Tafsir Ibn Kathir (Riyadh, 2000), vol 4, pp. 404-407) More Ibn Kathir on IS&J. 29) Imam Al-Suyuti (1445-1505) - Sufi, Hanafi jurist, famous Egyptian writer, multidisciplinary scholar. Memorized the Koran at 8. The mujtahid imam and foremost hadith master, historian, biographer, he authored works in virtually every Islamic science. Recognized as the most prolific author in the realm of Islamic literature, writing nearly 600 books and treatises, including co-compiling the most widespread condensed commentary of Qur'an in our time, Tafsir al-Jalalayn. Note his Sufi mysticism did not conflict with his views here on (9:29). 30) Fadl-Ullah bin Ruzbihan Isfahani (1456 - 1521) - Shafi’i jurist, said this in his Muslim Conduct of State: Suluk ul-Muluk, summarizing Shafi'i and Hanafi law. “Some say that they [the dhimmis] should not be informed of the amount of the jizya so that they should live continuously, in the course of the year, in a state of anxiety and agitation. It would also be better if the ruler of the Muslims would establish that all infidels could not move out of their homes on days when it rains or snows because they would make Muslims impure... Muslims should also be urged to show disrespect toward them [the dhimmis].” More al-Maqdisi on IS. “It has become clear to my mind that the kingdom of heaven has predestined that kafirs should be reduced to a state of humiliation and treated with utter contempt.” More Wali-Allah on IS&J. “Because it is now almost axiomatic for American school textbooks to whitewash all things Islamic (see here for example), it may be useful to examine one of those aspects that are regularly distorted: the Muslim conquests. Few events of history are so well documented and attested to as are these conquests, which commenced soon after the death of the Muslim prophet Muhammad (632) and tapered off circa 750. Large swathes of the Old World—from the India in the east, to Spain in the west—were conquered and consolidated by the sword of Islam during this time.